Here at Infinite Discs, we’ve had a lot of fun with disc stamps over the last couple of years. We’ve presented a huge variety of styles and artistic approaches. A couple have become standards that we keep bringing back, like the Infinite Bomber stamp which has been a hit in several configurations. The Infinite Discs Aztec stamp was the first “Stamp Wars” winner, though it only had to beat out the Tommy Cat design for that first Stamp Wars title. But that Aztec design became very popular during the 2017 year and was offered on many brands and molds. 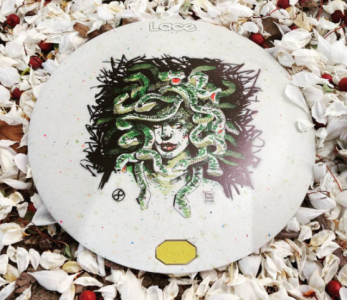 The Infinite Discs VIP Club was a fun program initiated in 2016 with a goal to present a variety of artistically interesting stamps on great discs. Since the inception of the VIP Club, over twenty stamps have been presented on a variety of disc brands and plastics. 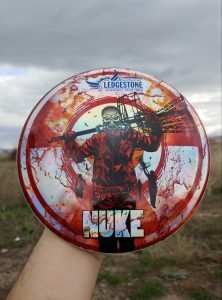 The members of the club tend to be made up of players who appreciate unique and interesting images on the latest discs. But even among them, it has been very interesting to see the responses to different stamps. 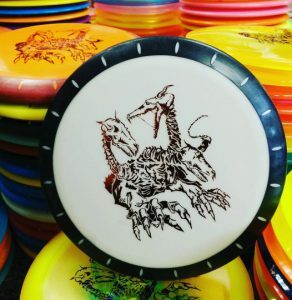 Sometimes we worry as we’re mailing out the discs that a new stamp approach won’t be popular, but inevitably we get feedback from members declaring that it is their new favorite. The club members often end up trading and selling back-and-forth, based on their differing stamp tastes. 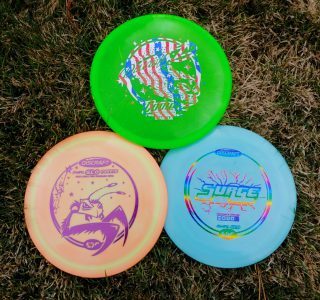 Infinite Discs has also presented a lot of custom stamps on new release discs, as well as on entire brands, or across multiple brands. Those stamps are added to our online store for anybody who wants them. Some were sleepers, while others were instant hits. But once again, it became instantly apparent that, when it comes to stamps, every person has their own taste. One person’s “most amazing stamp ever” is another person’s “most hideous stamp.” Even within the walls of the Infinite Discs headquarters, tastes in stamps vary greatly. Some prefer minimal, others prefer heavy detail, and so it goes. One thing is for sure, we’re not afraid to try about anything. We’ve gone with basic stamp designs featuring characters (Sheriff, Anchor, Infinite Discs Clown, Relativity Einstein, etc. 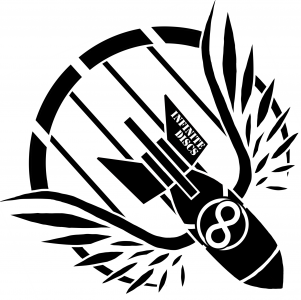 ), we’ve gone with geometric design concepts (see the latest runs on MVP and Axiom), we’ve gone with logo-style images (the Infinite Bomber, Infinite Illuminati), we’ve gone with monsters and skulls (see Halloween stamps), and we’ve even started a series of joke stamps (see Firebread, Foxbat, etc.). The joke stamps have been some of the most fun, and obviously the most controversial, criticized, hated, and absolutely loved stamps we’ve put out so far. Whenever an idea comes up as a joke, then makes it to a disc, we’re a little nervous about who will “get it” and who will simply write us off as a bunch of tasteless idiots. Well, we see both sides among the forums and fan groups, but usually the number of people who “get it” is large enough to scoop up the discs from the store. 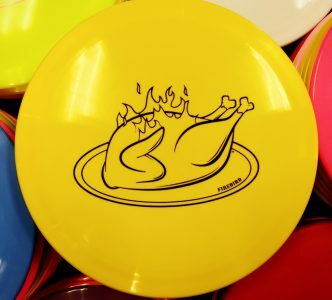 After such an unexpected hit, we followed up with a Thanksgiving disc called “Firebird” which was…well…on Firebirds. But it was a cooked turkey in the same style as the bread series, with flames on it. That one didn’t go over quite as well, probably because it felt more seasonal, and the joke was old at that point. Oh well. It was still fun to throw it out there. 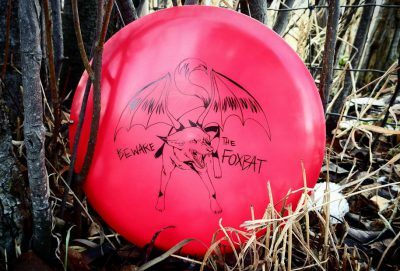 Another joke stamp recently released was the “Beware the Foxbat” stamp which was presented on Foxbat discs. It was basically a dog with a fox tale and bat wings. Duh. It wasn’t supposed to be scary, or impressive, or realistic, or convincing. After all, we’re talking about a foxbat. Who even knows what that is? Apparently it is a Ukrainian aircraft? Maybe an animal? Maybe not? But now it is a dog-like, fox-like, bat-like creature on a disc. Why? Well…why not? 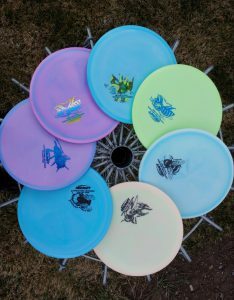 Immediately there was an outcry on disc collector groups, thinking that Infinite Discs had once again hit a new low in stamp design, while here at headquarters, employees were musing at how many Foxbats we were suddenly shipping out to customers. After all, this isn’t exactly a top-selling disc. But those sales figures are now on the rise. Other joke stamp ideas didn’t make it to the discs. At least not yet. For example, we came up with a concept for a stamp featuring Kim Jong Un of North Korea smiling for a selfie with his arm around a missile. We were going to put that one on a run of Discraft Nukes. 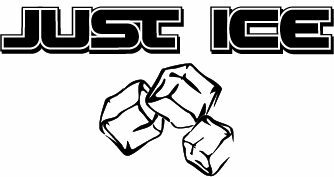 Another idea that made it through the art stage, but not to the disc was a great version of the Dynamic Discs Justice stamp that simply added space between a couple of letters to change the meaning to “just ice”. Of course, ice cubes were a must. Yes, we can be strange. Some people get it. Some people don’t. Aside from the jokes, the serious stamps, the spooky stamps, and the simply strange stamps, we decided that all of our customer should have a chance to submit their own ideas as stamp designs. That is why we introduced the 2018 Stamp Wars contest as a way for anybody to introduce a stamp design for voting. After three rounds of voting, the 20+ submitted designs were narrowed down to a field of four stamps. Those final four stamps are being presented on equal runs of discs from both Trilogy and Innova. Whichever sells the fastest will be the top winner. We were thrilled with the number of cool submissions to the Stamp Wars contest. There is a lot of talent out there. Once again, the stamps ran the gamut as far as style goes. There were some of the typical monsters and skulls, but also some truly creative and unique stamp concepts. Some didn’t make it far in the voting, perhaps because they didn’t have the necessary appeal to the disc golf market, but we still loved some of those eventual losers. We may find ways to work at some degree with those artists who didn’t make it to the final four. Why not strive to incorporate as many artists and ideas as possible when it comes to presenting stamps to the public? We keep an open mind when it comes to art. The only things we try to exclude are those ideas that are generally seen as tasteless or insulting. Watch for the Stamp Wars “final four” stamps to hit the Infinite Discs inventory in the beginning of February. Then watch for the winner to make appearances throughout the 2018 season. Why all these stamps anyway? 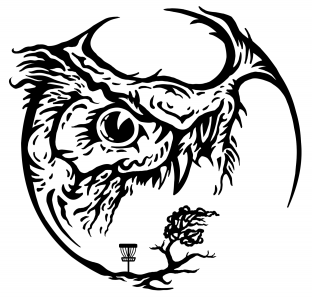 Well, Infinite Discs is in the business of selling discs, and we are also disc golfers. When it comes to selecting our discs, oddly enough, the way those discs look often comes into consideration. 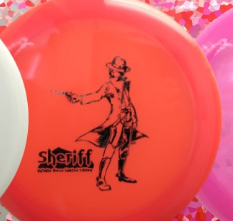 We have come to accept and embrace a simple fact: Even though we’re selling discs that are meant to be thrown around in a game, the throwers are all individuals who like to express that individuality with the images on their discs. Whether the clean text of a stock stamp, the chaos of misprints and x-outs, the intricate design from an artist, a full-color image on Vibram rubber, or the silliness of an office joke, everybody has a preferred style. 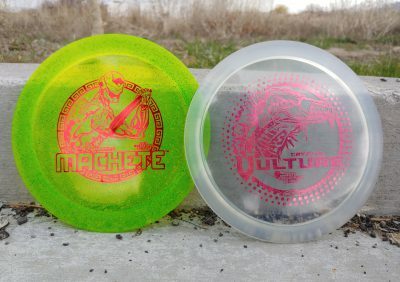 So, Infinite Discs wants to bring the largest variety of stamp styles, images, and tastes to our inventory for ALL players. We don’t ask that every person like every stamp, because that will NEVER happen. But we hope that among a huge selection of tens of thousands of individually photographed discs, you’ll find some that really appeal to you. Enjoy! 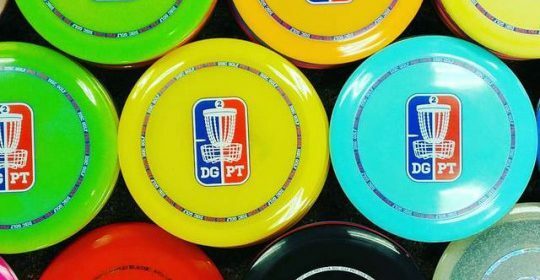 Are you looking forward to following the top professionals this year as they travel the country and compete in the Disc Golf Pro Tour tournaments? We are excited to see how 2017 pans out! Here at Infinite Discs, we’re particularly excited that the tour comes to Utah this year. It’s always fun when a major disc golf event comes to your home town or home state! 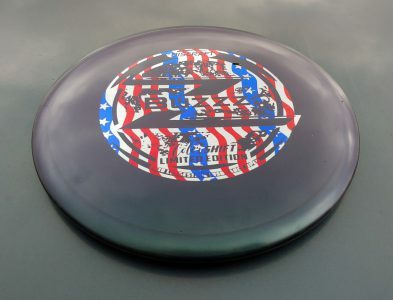 The trend of releasing special holiday edition discs with special stamps is growing in the disc golf market. Let’s take a look at the discs that have been released to celebrate Halloween in 2016. 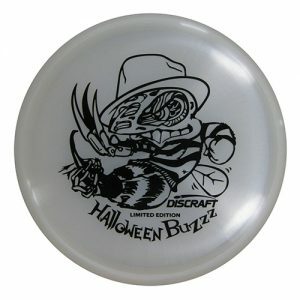 One of the most hotly anticipated Halloween discs of the year is the Z Glo Buzzz a stamp featuring the traditional Buzzz Bee mashed-up with the iconic Freddy Krueger. 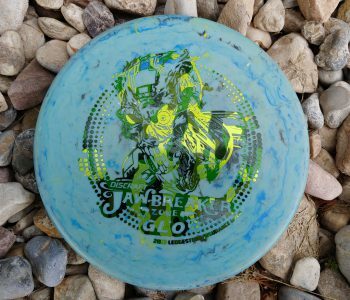 The glow plastic is perfect for the shorter, darker days that come this time of year. Another very popular disc that is already hard to find is the Vanish by Axiom Discs with the awesome, three-foil stamped spider. There were a few extra-limited editions with color variations which already sell for high prices on the internet to collectors. Legacy Discs also put out their 2016 Halloween stamp which you can get on a Bandit, Rampage, or a Nemesis disc. The foil stamps come in a variety of colors, from solids to some of the more flashy foils. Innova stuck with a more traditional Halloween look by using primarily orange and black discs, available with Firebirds, Rocs, TeeBirds, and Aviars. 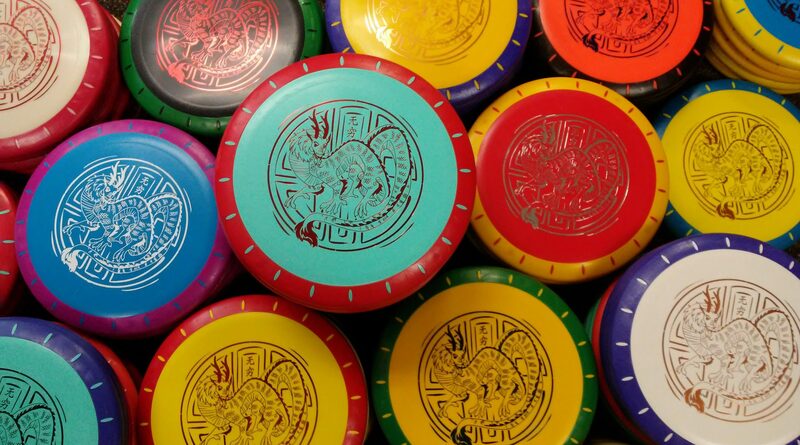 There are black, white, or orange stamps on the discs featuring a skull and disc golf basket with bat wings. At Infinite Discs, we’re most excited about our October special edition stamp that looks awesome in your bag all year, even beyond Halloween. We call it the “Infinite Monster” and it is featured on almost all of the most popular Innova disc models, as well as a few Discmania disc models, with many color combinations to suit your tastes. 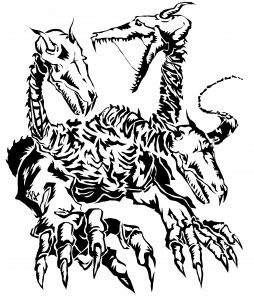 Here is a look at the Infinite Discs three-headed monster created by our VIP Club artist, NEOmi-trix. 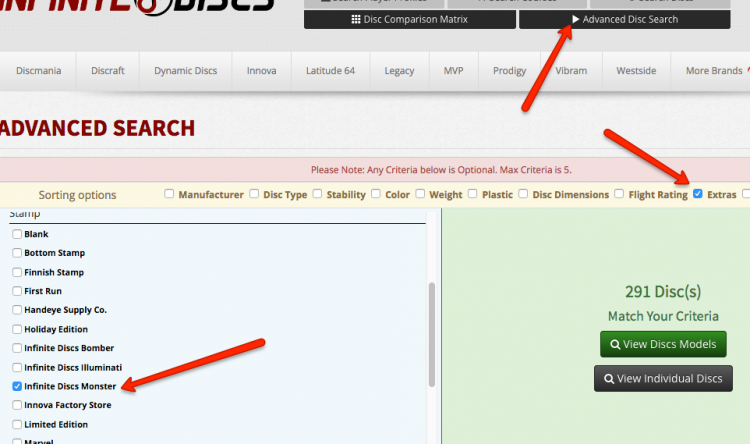 1 – Use the Advanced Disc Search feature near the top of the page. 3 – Scroll down the resulting list until you see and check-mark the box next to “Holiday Edition”, or check-mark next to “Infinite Discs Monster” or any other special stamp you want to search. 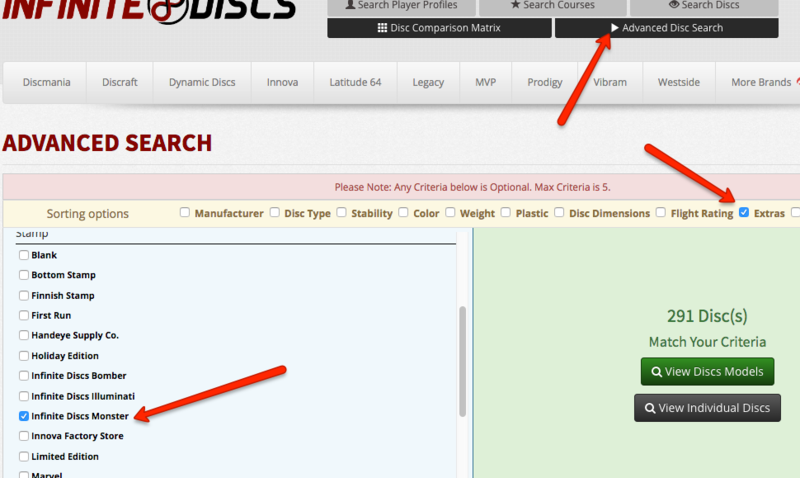 4 – Click the “View Individual Discs” button and scroll through the resulting pages of disc images, which you can click to purchase.